The last week of the term began for the children in KS2 with an assembly, led for the final time by the lovely Miss Ellacott. Our long serving Deputy Headteacher retires on Thursday and so used the time this morning to tell the children all about some of the adventures that she has planned for after she has left us. In just eleven days Miss Ellacott explained that she will be completing the Inca Trail. The Inca Trail to Machu Picchu is a hiking trail in Peru that terminates at Machu Picchu. It consists of three overlapping trails: Mollepata, Classic, and One Day. 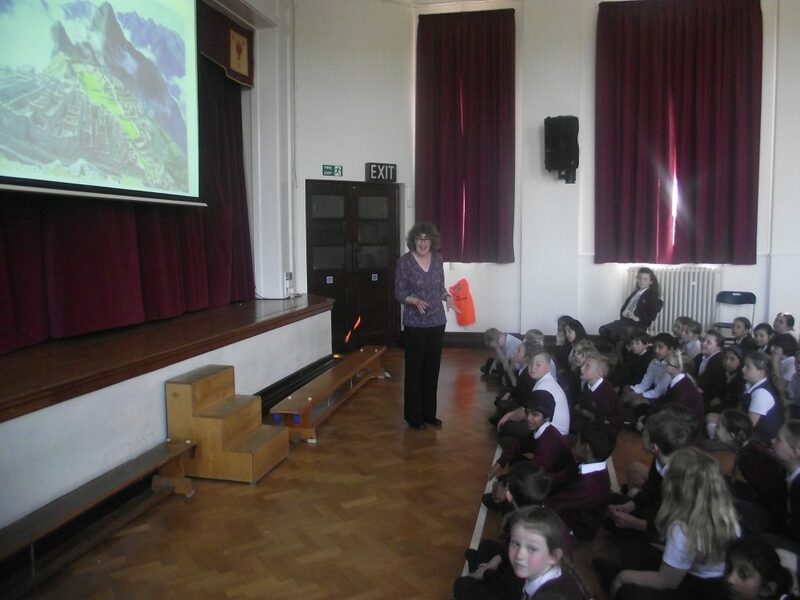 Miss Ellacott explained that the trail will take her four days to complete and will be a massive challenge! We are delighted that Miss Ellacott has agreed to return to school in order to tell the children all about her adventure once she has returned and rested! At lunchtime Mrs Ludlam and Mrs Dolman dined at the centre table of the ‘Woodland Diner’ where they were accompanied by children who they had witnessed displaying excellent manners. Well done children, we are proud of you! Later in the day the children in Kestrels continued to investigate volcanoes. They began planning an explanation text where the children worked in pairs to create a flow chart about the events which lead up to the formation of a volcano.